At that time, Prestashop has officially released the latest version 1.7, it brings news for user, we will start create some guides for the new version 1.7, we will guide customer some sample configurations through using default Prestashop modules. We also create details tutorials for Leo Modules. Thus do not worry about the latest version 1.7. Customer can leave us all question in our live chat about your concerns, we will summarize and create tutorial for you. 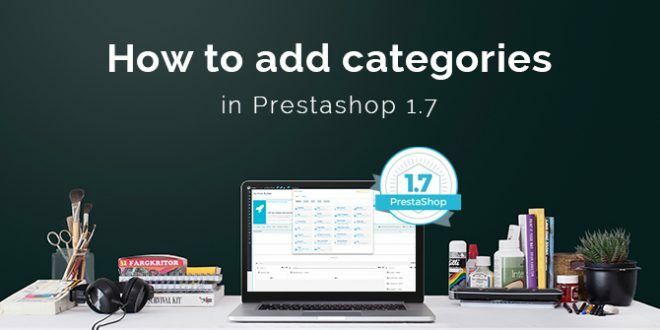 Today, we will introduce a guide to add categories in Prestashop 1.7. In terms of this blog, we – Leotheme Team – will show you How to Add New Category PrestaShop 1.7 – one of our Prestashop 1.7 Tutorial. First step, you access into your back office to Catalog –> Categories. You will see a table with the list of categories that are already on the store. To add a new category, user press the “Add New Category” button. Category Cover Image: You can upload a big picture that will be used represent for your category. Meta title, description, and keyword – this is the description for SEO purposes. Group access here you can define which groups can access your store. Customer – All people who have created an account on this site. 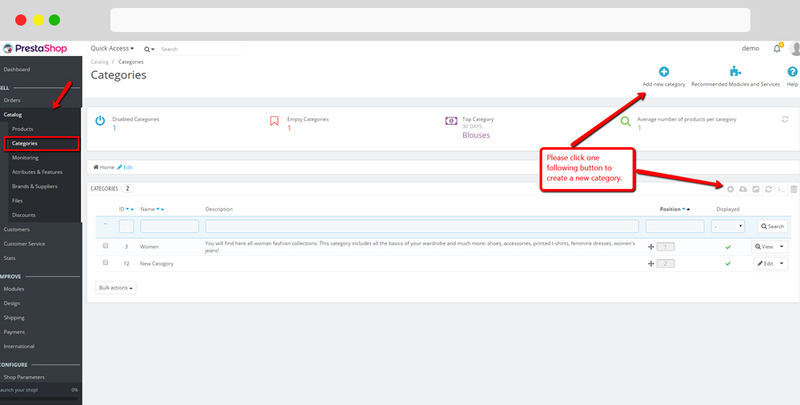 Then click “Save” button to keep your configure. Your category has been save and you are redirected to the list of categories. If you want to add changes to the category, press “Edit”. You can also change positions of your categories by dragging and dropping them to other positions. You’ve successfully Add New Category Prestashop 1.7. We hope that this tutorial will help you well.